Expiration 1/31/2020. $30 minimum order. Restrictions apply. When calling advertisers, please say you saw it in SJMOM! Follow us on Facebook, Twitter, Pinterest and Instagram for great South Jersey MOM giveaways! Lilianna is an energetic 3 1/2-year-old who has a contagious smile and laugh. She loves to ride her bike/hover board with her big brother Edward, she likes to play with her troll dolls and she likes to go outside to go to play at the park and take walks with the family. 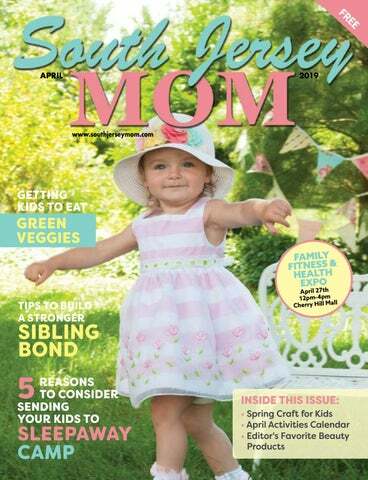 Enter Your Child’s Photo to Be On Our Next Cover Every issue South Jersey MOM features a local child on the cover. If you think you have the “Cutest Kid in Town”, send a 4x6 photo to South Jersey MOM. P.O. Box 268, Wenonah, NJ 08090. On back of photo write child’s name and age along with guardian contact info. Doctor visits don’t have to be scary. We have the trained staff, facilities and the equipment required to treat all areas of Pediatric ENT . We will work closely with family, pediatricians and young patients to help get children healthy and well! hen your feet hurt, it seems like your whole body aches. Women know this scenario all too well as they stuff their feet into high heel shoes that can also help to damage their feet. A study done by the American Podiatric Medical Association, found high heel shoes to be the “biggest culprit of foot pain.” The study, which measured the public’s attitude toward foot health, also discovered that a lot of of women admit that their heels actually hurt their feet. Foot pain is not uncommon, especially for women who insist on wearing high heel stilettos. Experts say these towering shoes can be detrimental to your spine, knees, hips, feet and ankles. They can also help to alter your posture and the way you walk. As heels get higher, the pressure increases on the balls of your feet and toes. For example, one inch heels carry 22% of that pressure, while three inch heels carry a whopping 76% and two inch heels carry only 57% of that pressure. High heel shoes should be no higher than two inches. Yet, it’s possible for women to look good in their heels, while avoiding severe foot pain. Here are some tips, experts say, women can utilize to avoid some common foot problems. • High heel shoes should only be worn in moderation and not on a everyday basis. High heels can cause such foot problems as corns, calluses, bunions, ingrown toenails and tendonitis. • Extra weight and pressure on the front of the foot can cause a stress fracture. High heel stilettos can also put you at risk for an ankle sprain. • The worst type of heels for your feet is high heel stilettos with a pointy, closed toe. Heels should be chosen that have a generous toe box area and extra cushioning at the front of the shoe. A slight heel or wedge will also help to lift the arch of your foot. • Always remember during your morning and evening commute to wear supportive shoes, like sneaks or low heel shoes. You can change into your heels once you get into the office. This will help to minimize how long your feet will have to stay in high heel shoes. Let’s be realistic. No matter what the consequences, women love wearing their high heel shoes. Knowing that these shoes aren’t great for our feet, isn’t going to stop us from wearing them. However, we need to be aware that our heels should be worn once in awhile and only on very special occasions. Our Lady of Lourdes Medical Center is proud of our Mother Baby Team for their dedication, leading us to become a “Baby-Friendly” hospital. The Baby-Friendly Hospital Initiative (BFHI) is a global program, launched by the World Health Organization (WHO) and the United Nations Children’s Fund (UNICEF). It encourages and recognizes hospitals that offer an optimal level of care for infant feeding and mother/baby bonding. harton State Forest, with over 110,000 acres is the largest tract of land within the New Jersey Park System. Comprised of pine and oak forest, as well as white cedar and maple swamps, it stretches across three countries: Atlantic, Camden and Burlington County. Mazes of rivers, streams, ponds, and lakes for canoeing, kayaking, or swimming, as well as many trails of varying lengths for hiking, biking and horseback riding wind their way through the park. Along the way, you are sure to see a plethora of wildlife, including turkeys, river otters, foxes, and deer. The avid birdwatcher can perch themselves anywhere along the trails to spot red-tail hawks, ospreys, hummingbirds, and purple martins to name a few. April is said to be the perfect time to watch the bluebirds. Found within the Burlington County borders of Wharton State Forest are two favorite locations that make for great family outings. Batsto Village, a landmark on the New Jersey Historical Registry and located in Washington Township, is a beautiful place to spend an afternoon. Built in the mid-1700â&#x20AC;&#x2122;s it once served as a hub for the iron and glass industries. The history of the village unfolds as you take a step back in time and explore the 18 different locations throughout the Village. Blacksmith demonstrations are available throughout the day and are sure to impress the kids. A self-guided tour is possible with the use of your smartphone by scanning the QR codes at each location and watching the pre-recorded message. This fantastic option was funded by the Batsto Citizen Committee and designed as an Eagle Scout project. Guided tours of the mansion are also available and be sure to stop by the Annie M. Carter Nature Interpretive Center where the ecosystem of the Pinelands is explained. The second location, Atsion Lake, is located in Shamong Township. History does not escape this side of the forest either, as it too is home to a mansion built in 1826 as also, part of the iron industry. The Atsion Recreation Area features a beach and swimming area with amenities such picnic tables, grills, restrooms, and showers. Two nature trails (wheelchair and stroller accessible) and a playground are sure to please the little ones. There is a small entrance fee for the use of the recreation area, and the website warns to arrive early on summer days. Time spent in Wharton State Forest will reveal not only the beauty of nature but also a rich history. There is so much to do throughout the park that you could easily turn your day into an extended camping stay with your tent/trailer or by renting one of the many cabins. Adventure awaits within Wharton State Forest, go find it! Barbara is a lifelong resident of South Jersey, an educator and a mother of three. Together her family enjoys outdoor activities and a they have a goal to travel to every state in the U.S.! Follow their adventures on Barbaraâ&#x20AC;&#x2122;s blog at wilfamtravels.wordpress.com. Imagine floating effortlessly in warm, tranquil water filled with soothing Epsom salt... Discover the benefits of floating, a holistic therapy that can help accelerate the bodyâ&#x20AC;&#x2122;s natural recovery and healing process. With this coupon. May not be combined with other discounts. Expires 5/31/19. Commit to taking better care of yourself, to improving your health, your mood, and your sleep... Start your float practice today and begin to feel better about everything. Spring is such a rejuvenating and refreshing time of year. Trees budding, flowers blooming, birds singing -- yes, it’s the perfect time to make simple, light, healthy recipes. Steam asparagus just until fork tender, then drain and dry the stalks before placing them into the refrigerator to completely chill. In a small bowl mix together the lemon juice, vinegar, olive oil, salt and pepper, set aside. Once asparagus is chilled, place them onto a serving dish and drizzle with the dressing. Serve. Lemony Orzo & Spinach • 1 (16 oz.) box orzo pasta • 1 cup fresh baby spinach • 2-3 tbs. extra-virgin olive oil • 1-2 tbs. butter • 1/2 tsp. lemon zest • 1 tsp. fresh lemon juice • Sea salt, to taste • Black pepper, to taste Cook pasta according to directions on package, drain, and return pasta to pot with heat off. Add spinach, olive oil, butter, lemon zest and lemon juice. Gently toss ingredients together, add salt and pepper to taste, toss once more. Serve. As always, Bon Appetit! Sending Your Child to Overnight Camp Doesn’t Mean You Don’t Love Them! or parents who didn’t go to sleepaway camp themselves, the thought of sending their child away to camp can seem like a foreign idea. Why would someone who loves their child choose to send him or her away for the summer? If you love your child, it just doesn’t make sense. However, camp professionals and youth development experts would argue that some of the best learning happens when children are away from their parents. Here are just a few of the ways your child will grow after a summer spent at overnight camp. Gain independence - “When a child attends camp for the first time, they may be a little nervous about making decisions without their parents there to guide them. But once a child learns to be responsible for themselves such as make their own bed, decide on the foods they would like to try at meals and pick their own elective activities, they gain independence and a belief in their ability to take care of themselves,” says Renee Flax, Director of Camper Placement for the American Camp Association, NY & NJ. “This is often the first time in their lives that they are given this much autonomy and it’s something they come to appreciate and enjoy about camp. This is a gift that will last them throughout adolescence and beyond. Studies have shown that children who attended camp do much better their first year in college than those students who never left home.” Sense of identity – “Children establish a sense of identity at overnight camp, where they begin to truly advocate for themselves and foster strong levels of trust with their friends and counselors instead of just their parents, ultimately helping them to navigate through the world on their own,” says Brian Krug, Director of Camp Canadensis, a coed overnight camp in PA.
Confidence – Flax explains, “Confidence comes in various ways at camp. When a child tries something new that at first she was nervous about but then overcomes her fear, she builds confidence in her own abilities. Sometimes confidence comes when a child speaks up for herself. Finding your own voice and being able to express yourself is an empowering feeling.” Community living – “The group living dynamic at sleepaway camp teaches children so much including inclusiveness, teamwork, cooperation and respect. Campers are also asked to be mindful of their own belongings as well as others,” comments Krug. Kids Summer Workshops and CAMPS! Choose between four different weeks of day and night camps! SUMMER CAMPS For Girls & Boys! JCC CAMPS AT MEDFORD JCC Camps at Medford enriches children’s lives by teaching values and life skills in a fun, safe and inclusive Jewish environment, while building confidence, sharing successes and creating lasting friendships. Camp is built on the fundamental values of family, love, respect, justice and charity, compassion and kindness. Watch our camp video and learn more at jcccampsatmedford.org. LIBERTY LAKE SUMMER DAY CAMP Liberty Lake is a transformative summer experience for ages 4-15. A full service camp, with bus transportation available in Camden & Burlington Counties. Hot lunches & snacks all included. With a philosophy based on teaching children character and life skills, campers create their own schedules guaranteeing the BEST SUMMER EVER! Tours available daily, conveniently located just off Rte. 295 (exit 52A) (856) 437-5340; www.libertylakedaycamp.com. EARLY CHILDHOOD CAMPS AT THE KATZ JCC Early Childhood Camps at the Katz JCC, an award-winning summer day camp, is the place for little campers ages 2-5 to have big fun! Through STEM activities, creative arts, theater, music, sports, swim lessons, cooking and more, our professional camp staff ensure your child has a fun summer experience. Learn more at katzjcc.org/ecccamps; (856) 424-4444 x1242. Tour our facility. Meet the directors. Enjoy crafts & food. Sunday, April 14 10am-1pm Meet Our New Team! Welcoming campers ages 2-5 of all faiths and cultures. Meet Our Leadership Team • Take a Personal Tour Enjoy Lunch & Snacks Spend a Fun Family Day at Camp! Multiple locations throughout Southern New Jersey! FREE GAMES OF BOWLING PER DAY ALL SUMMER! To submit your event, send an e-mail to michelle@superiorgx.com. Entries are due six weeks prior to the event and are filled on a first-come first-served basis. Space is limited. 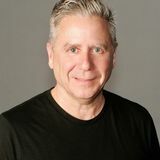 Camden County Health & Fitness Expo Saturday – April 27, 2019 12-4pm Cherry Hill Mall South Jersey MOM Magazine to host Health & Fitness Expo. Meet lots of vendors with information for you and your family. Lots of free stuff, face painting, demonstrations, change to win prizes and more! Make it a family day! Ice Cream Social Deptford Skating Center Westville, NJ April 27 11-2pm Space is limited Inflatables, ice cream, face painting and more! children’s desk for a reading log and more information. Storytimes: Stories, Songs & Craft provided. Themes this month include: Spring Babies, National Library Week, Easter, Earth Day, Arbor Day and Rainbows. Baby’s Way to Books – Mondays, 4/1, 4/15, 4/22 & 4/29 10:15 – 10:45am. Ages 0– 2. Toddler Time - Mondays, 4/1, 4/15, 4/22 & 4/29 11:00-11:30am. Ages 2-3. Storytime – Fridays, 4/5, 4/12 & 4/26 11:00 11:30am. Ages 2-5. Saturday Storytime – Saturday, 4/6 11:00 – 11:30am. All ages. Music Time - Wednesdays, 4/3, 4/10, 4/17 & 4/24 11:00 – 11:30am. Fridays, 4/5, 4/12 & 4/26 10:1510:45am. Ages 0-5. Adult Programs Make & Take Scrapbooking Project– Tuesday, 4/9 6:30pm. Registration required. Instructor: Sandi Kiley. Knit & Crochet Club – Thursdays, 1-3pm. Instruction and supplies provided for beginners. Instruction provided by volunteer, Robin McElroy. Sewing Club – Tuesdays, 4/9 & 4/23 1-3pm. Instruction provided by Marva West and Sylvia Rodgers. Sewing machines and serger sewing machine are available for this program. Quilting Club – Tuesdays, 4/2 & 4/16 1-3pm. Instruction provided by Sylvia Rodgers and Marva West. FURever as Friends – Tuesdays, 4/2 & 4/16 6:30-7:30pm. All ages. Parent permission slip required. Lego Night – Tuesday, 4/23 6:30 – 7:30pm. All ages. We have 3 sizes of Legos to build with. Weekly Guitar Lessons – Mondays, 4/1, 4/15, 4/22 & 4/29 5:30 – 6:30pm. All ages; all skill levels. Please bring your own guitar. GCLS Chess Club – Tuesdays, 6:30-8:30pm. All ages; all skill levels. Writing Tutor - available by appointment on Tuesdays, 6-8pm. Please call (856) 241-0202 or email coldt@gcls.org. Joy and laughter are part of our curriculum. Private Special Education … Sometimes, it starts with a twinkle in the eye. Just a little spark of curiosity that soon blossoms into a journey of discovery, learning and achievement. That’s because at our private special education schools, we see beyond a child’s disability, and awaken the joy and creative expression within. Our schools are welcoming places where students feel at home and are able to enjoy a rich and rewarding social life. Our students feel cherished, well cared for and respected for a very good reason—it is part of our mission and our commitment. Students at our special education schools experience a school day as it should be—filled with discovery, achievement, learning and friendship. Here, they have people they know they can count on—outstanding teachers, therapists, counselors, psychologists and job coaches who constantly encourage and support them. an Option You Should Know About! With individualized attention, on-site therapies and vocational training, our schools deliver unparalleled services for students with special needs. Our New Jersey Department of Education certified special education teachers, licensed therapists and counselors provide expert, advanced instruction and support … along with plenty of smiles. 833-OB-FOR-ME, where finding the perfect OB is childâ&#x20AC;&#x2122;s play. Visit us online at virtua.org/wedeliver to search by rating, location and insurance.